This Tuesday, August 6, Ohioans will cast their votes in special elections. For those with issues on the ballot, absentee voting has been underway since early July. After approximately eighteen months of consideration, Deerfield Township trustees voted in early March to put a police levy to a vote in the August special election. Trustees publicly stated the need for a levy, i.e. increased taxation, has been considered since late 2011. Months later, in January 2012, township trustees entered into a three-year contract with the Warren County Sheriff’s office for police services. The contract expires at the end of 2014. With the current 2.5 mill levy, property owners pay $71.89 per $100,000 in valuation. If the 4-mill replacement levy is approved by voters, the owner of a $100,000 home will pay $122.49 per 100,000, an additional $50.60 per $100,000. Elected officials say the proposed tax increase is necessary to maintain current levels of police staffing. 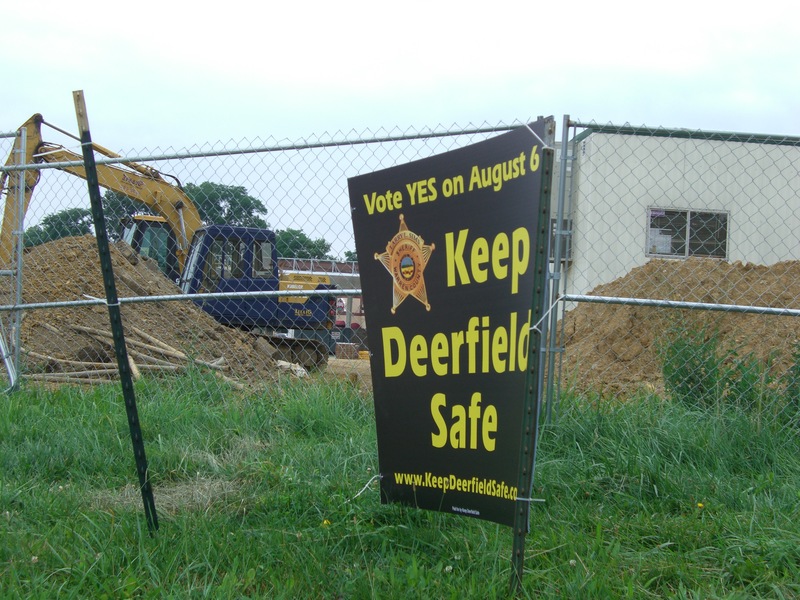 The group promoting and supporting the pro-levy campaign is “Keep Deerfield Safe”. Warren County Sherriff Larry Sims is campaign treasurer. Township officials assert Deerfield is doing well measured against similar communities of comparable size, such as Mason. This “standard” may not represent an accurate picture depending on the spending trends of the community used for comparison. This key ballot issue concerning increased taxation, public safety, and trustees’ allocation of taxpayer dollars is put to a vote when August voter turnout is historically low and the fewest number of voters will likely decide the issue. North COAST expressed concerns about the timing of the August levy in April. Already burdened taxpayers will pay approximately $30,000 in extra costs associated with the August special election. This one election has a projected price tag of nearly three times the $10,200 budgeted by the township for total election costs in 2013. A parks levy and two trustees will be on the November ballot. During March and April conversations pertaining to the timing of the August policy levy, trustee president, Chris Romano, frequently explained there would not be enough time to implement Plan B if the police levy failed in August, saying the budgeting process is “complicated”. Specific details of the Deerfield sheriff’s contract have not been publicized or made readily available to date. If the purpose of the levy is to maintain current staffing levels, how will the increased tax dollars be allocated? In early June, Sherriff Sims’ campaign treasurer wrote a letter to the editor supporting the policy levy. The pro-levy campaign website compares cost per resident and number of officers to other communities. 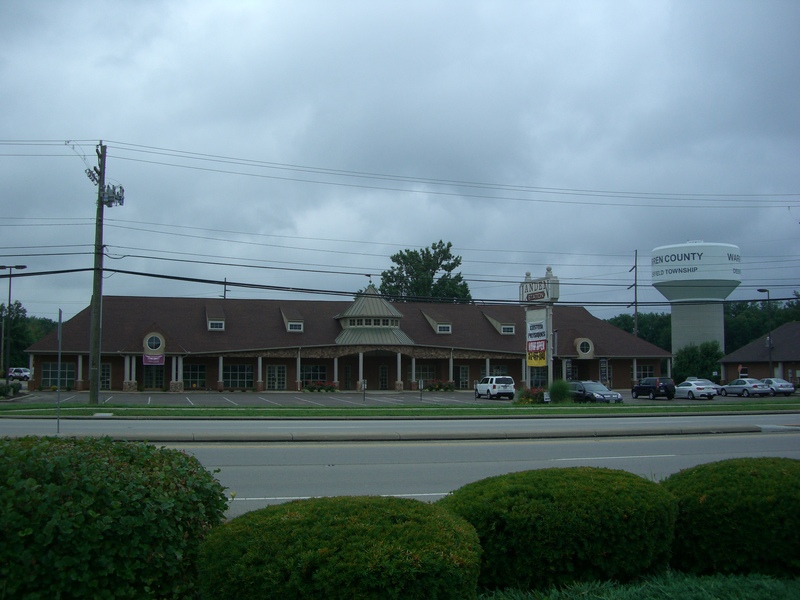 Landen Station was briefly used for township administration offices and sold in 2011. Rent for current administration offices and trustee room on Parkway Drive is budgeted at $146,418 per year. Recovery charges (CAM, taxes and utilities) are an additional $64,911, totaling $211,328 per year. 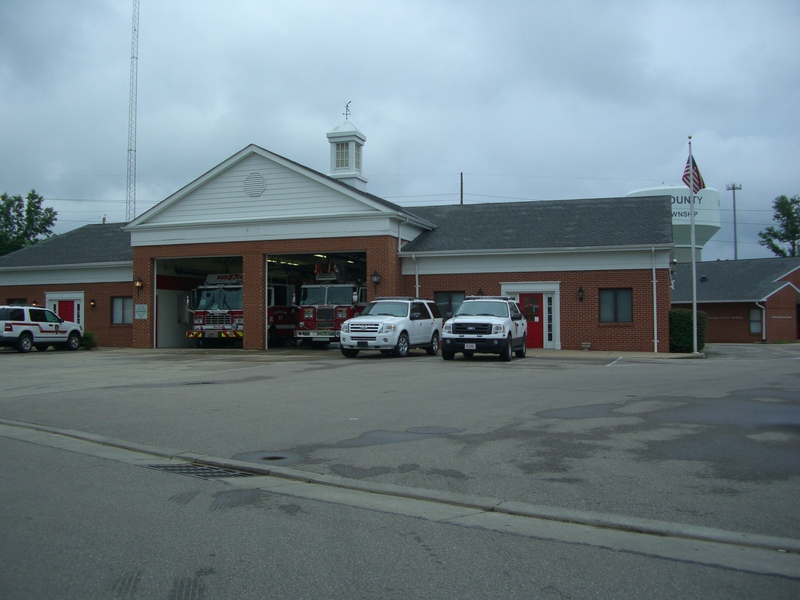 Construction costs of $4 million estimated to build a new fire station at 3435 SR 22/3, replacing the Townsley Drive Station. 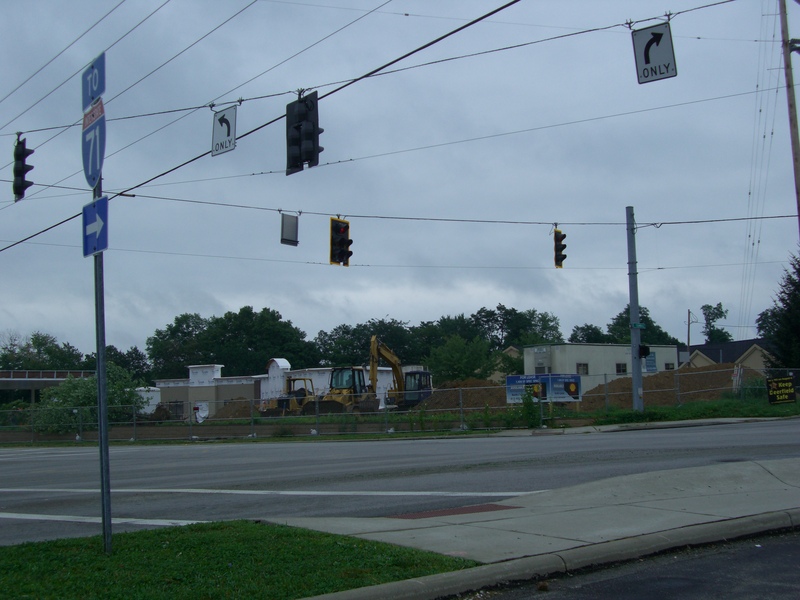 Deerfield Township levy sign placed against the backdrop of the demolished historic Twenty Mile House, now the site of a gas station under construction. With government employees and officeholders promoting the levy, who is looking out for the taxpayers? Trustee Dan Corey is also employed by the county engineer’s office. Deerfield will have two trustees, presumably Corey and Romano, and a park levy on the November 2013 ballot. According to Corey, “Anyone can run and replace us at any time”. The candidate filing deadline is August 7. Perhaps the Deerfield police levy raises questions about trustees’ use of taxpayer dollars rather than the need for additional funds. This entry was posted in Archives, Local Politics and tagged Anderson Township, Chris Romano, Dan Corey, Deerfield Township, Deerfield Township trustees, FIscal responsibility, Larry Sims, Liberty Township, Mason, Police levy, Sherriff's levy, West Chester Township. Bookmark the permalink.